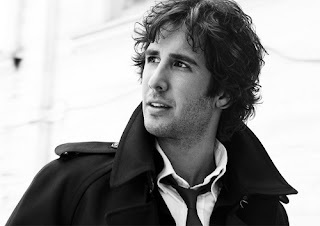 I love rock music as you know but there are always exceptions to the rule and that exception in my case is Josh Groban. Josh is one of those singers whose perfect voice fills you with bucket loads of emotion. I have been known to say that "his voice makes the hairs stand up on my neck" and yes unashamedly I have tears in my eyes when he sings "remember when it rains", the song I want played at my funeral (sorry to be morbid). Josh is an extraordinary singer and as quirky as it sounds, I have his music alongside the likes of Kings X, Dream Theater, Porcupine Tree, Dio, Opeth to name a few. If you don't know Josh's music (hard to believe as that may be) here is a link. Dare you not to be moved.